This card opens from the top for a little different look. 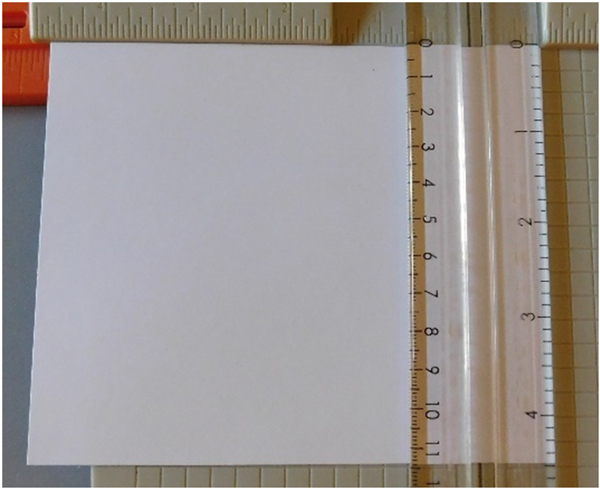 Begin by cutting a piece of cardstock to measure 4 ¾” x 11” and score it on half using your scoring board. Remember it needs to be scored and folded at the top so lay the paper horizontally on your board. 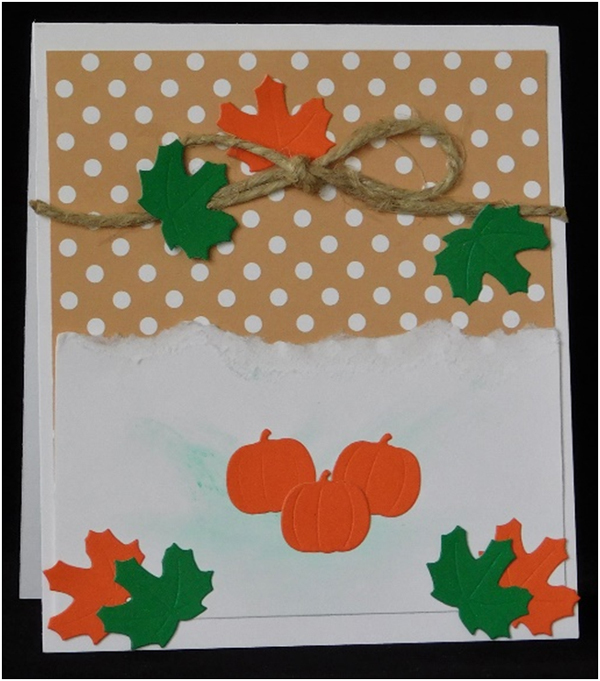 Add a piece of 4 ½” x 5” piece of fall colored patterned paper to the front of the card using a tape runner. 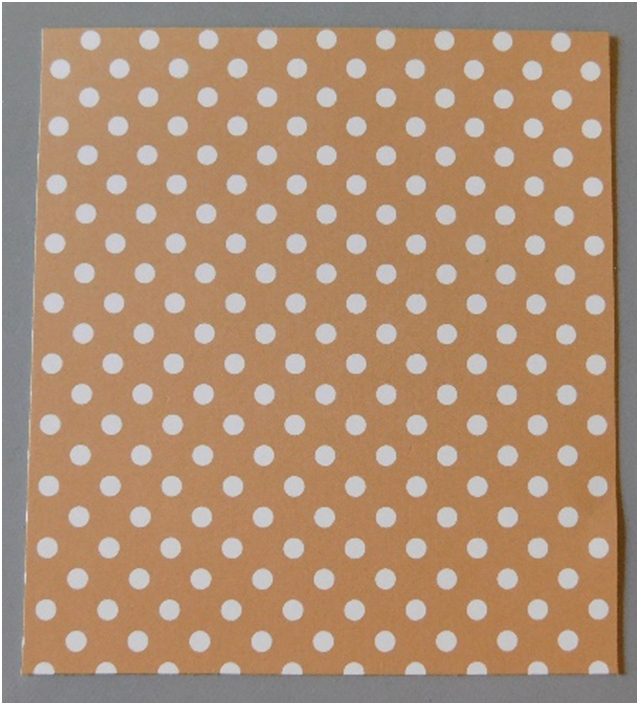 This paper is Echo Park’s Dots & Stripes Fall Paper Pad. Cut a piece of 4 ½” x 5’ piece of cardstock. 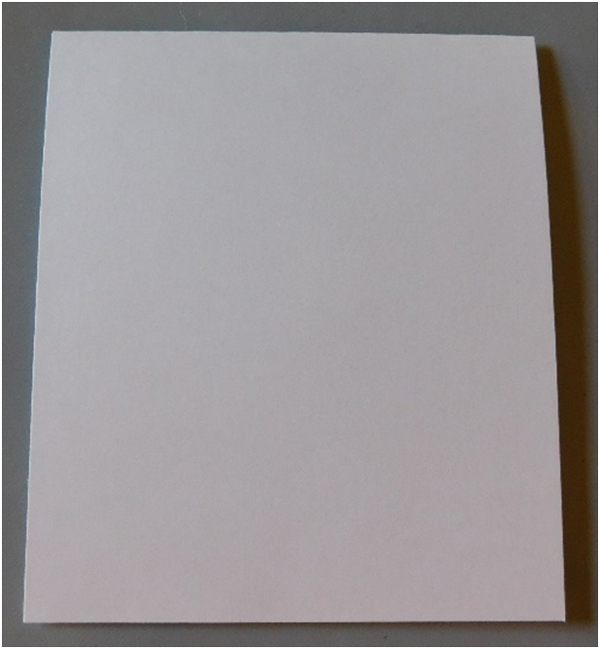 White cardstock is preferred here because you will be adding ink to it in the next step. Tear the paper not quite in half to expose a rugged edge. On this card, the paper ended up being 2 ¾” once torn which seemed to work well. 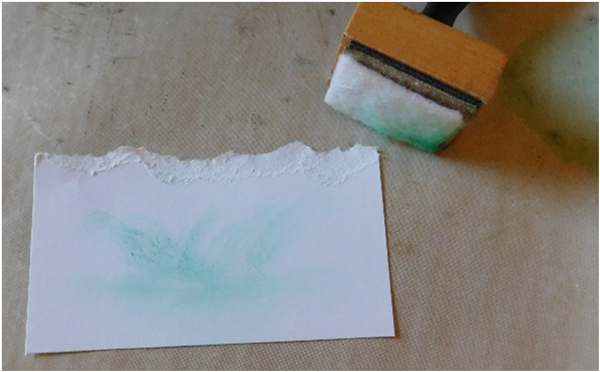 Add some green ink to your craft mat and pick it up with your blending tool. Start in the center of the paper and move the tool in a small, circular motion from the center to the left and then over to the right. It should leave a small inked area representing a patch of grass. Now, using on the edge of the tool that has had ink added to it, lightly make wisps of lines upward from the previously inked area. Do this several time to make it look like taller grassy areas. You can use the same ink color or a lighter green for a different look. You can, also, combine the two ink colors onto your tool and do this for yet another look. 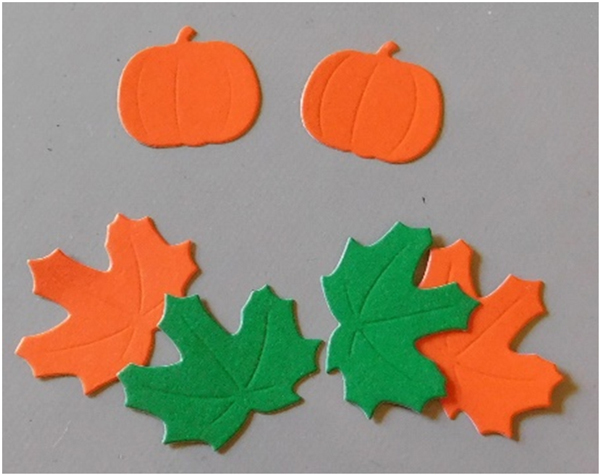 Die cut the pumpkins and leaves from cardstock using your die cut machine and pumpkin die and leaf die. Attach the pumpkins and leaves to the bottom of the card. Tie a piece of cording in the center as shown. Hemp cord is a nice choice for a fall themed look. Attach it to the card with glue and trim any that hangs over the edges of the card. Finish the outside of the card by placing a few leaves around the cord and add the sentiment to the inside. Whether your invitations are the first thing on your “to do” list for the holiday or last now is the time to do them using this great tutorial. They’re easy to make in a short amount of time so don’t wait any longer. 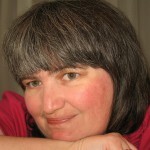 Head off to your creative space and start making all that you will need and cross that off your “to do” list today.